~Highrise living in a premier location. 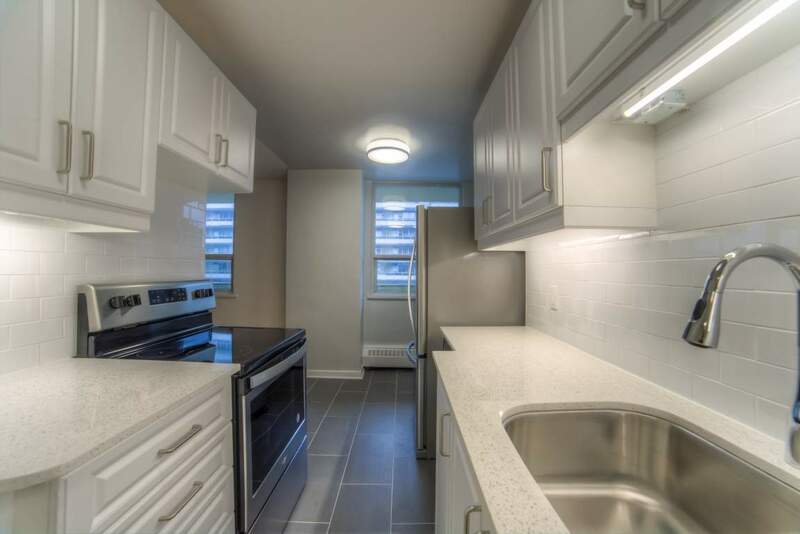 Just steps away from Eglinton Avenue, between Yonge Street and Mt. Pleasant Road, The Belvedere is removed from the hustle of the downtown core, while having many of the facilities needed for modern city living. 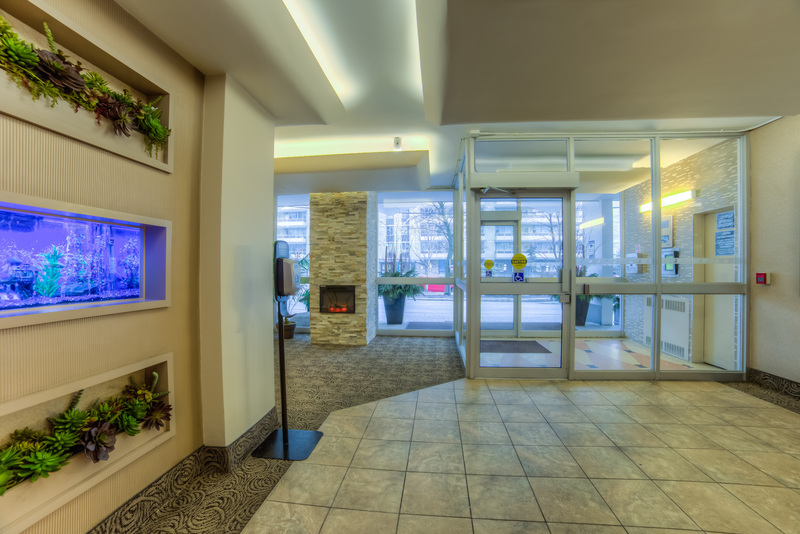 The Belvedere is a 12-story apartment building, consisting of 125 suites, ranging from bachelor, 1 bedroom and 2 bedroom suites. With the exception of the first and second floors, each suite has a balcony providing beautiful views of Toronto neighbourhoods. Not too long ago, all of the old windows and balcony railings were replaced, giving the building a clean, fresh look while keeping the suites warm and comfortable. Other work done at the Belvedere over the past several years to maintain the high standards of a Crestview property, include a new roof, a new heating and hot water system, upgraded front entrance and landscaping, refurbished lobby and mail room and improvements to the recycling and waste room to make positive choices for the environment easier for our residents. 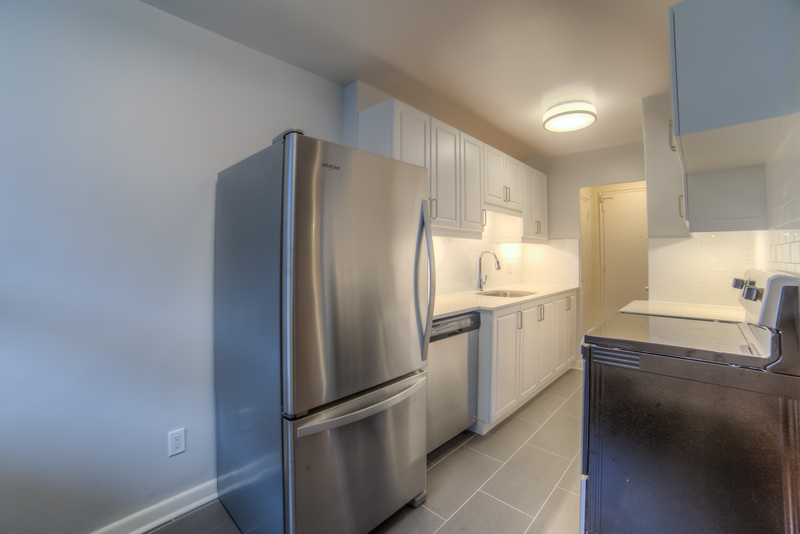 When the suites are renovated we include new paint, new or refurbished hardwood floors throughout, new light fixtures and new kitchen appliances (fridge and stove). 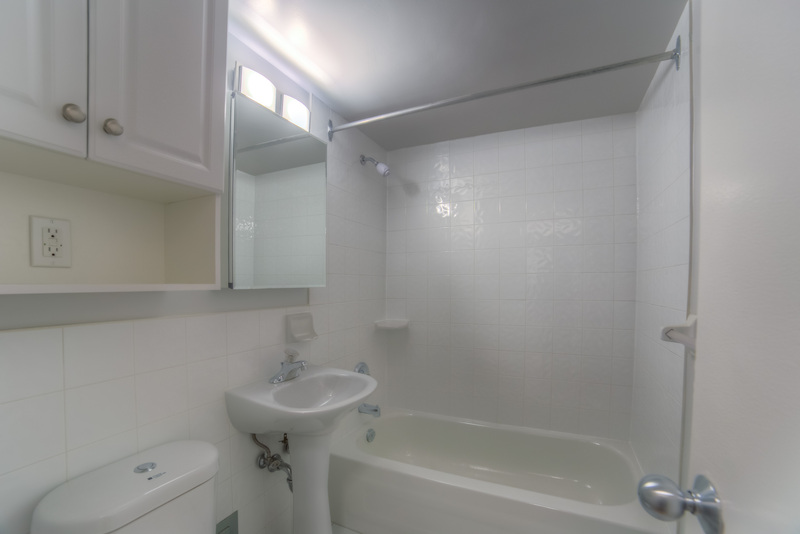 The newly renovated and upgraded bathrooms have beautiful, white ceramic tiles, new bathtub, sink, toilet and light fixtures – all this because we understand how important it is for our residents to have a clean and pleasant home. 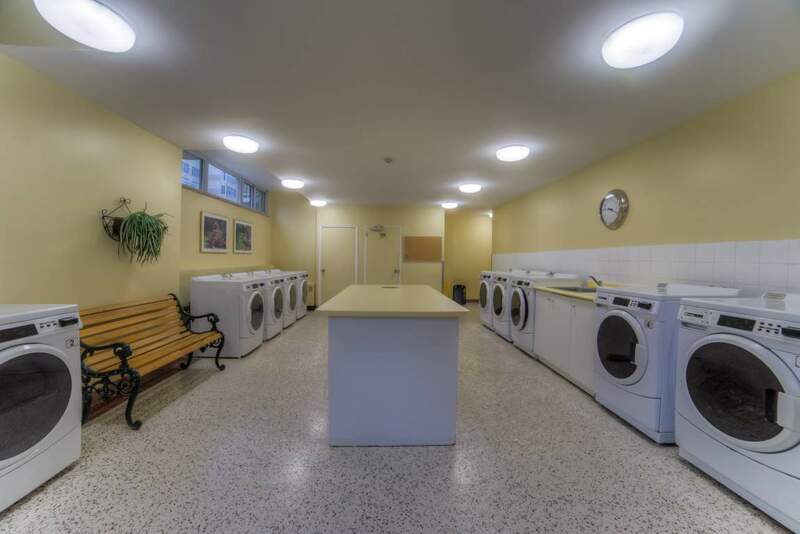 We've tried to make doing laundry a little more pleasant by creating a big, bright laundry room on the main floor. Parking spaces in the well lit underground and outdoor parking areas are available to rent. Visitor parking, an intercom buzzer and a storage locker are just a few of the things that make living here a truly great experience. The right size, the right style, the right location, ther right price - The Belvedere has exactly what you need. 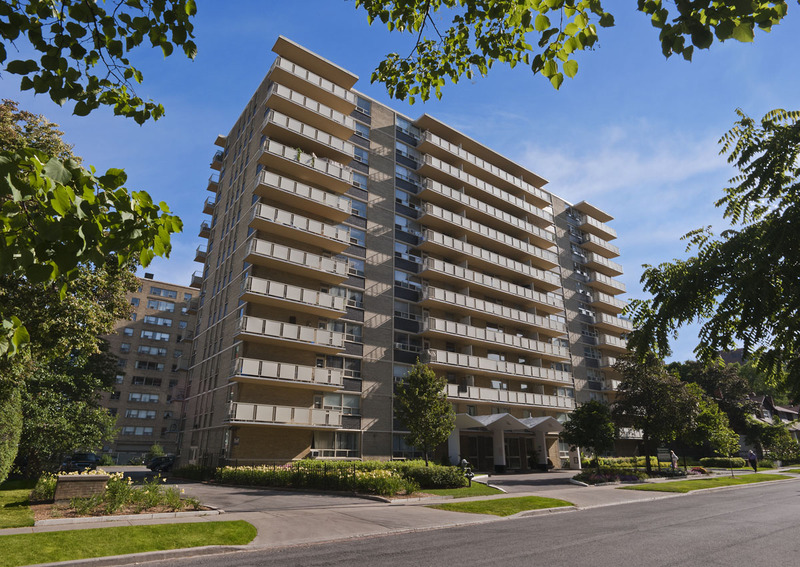 The Belvedere is located one block north of Eglinton Ave. and west of Mount Pleasant Road. In midtown, you can have it all - some of Toronto's finest restaurants and cafes, great entertainment (numerous bars and pubs), exceptional boutiques, movie theatres, grocery shops, schools, libraries, and much, much more. 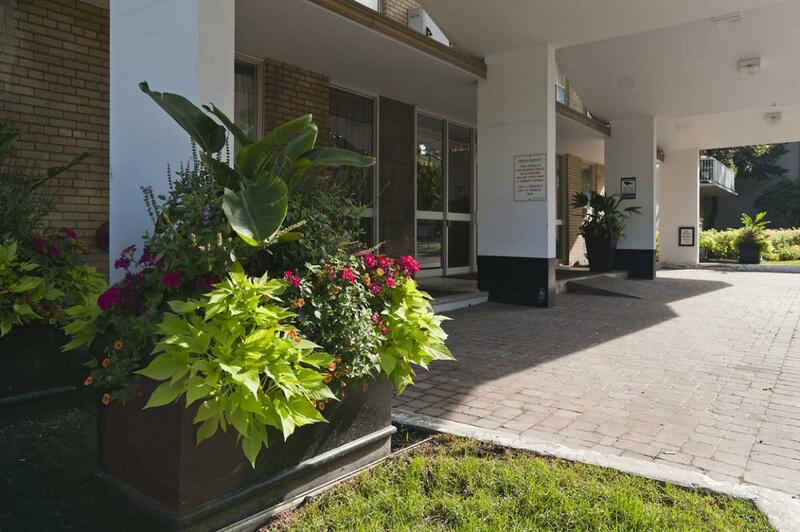 The Eglinton subway station is only a short walk away (under 10 minutes), or you may catch one of the frequent buses that run along Eglinton. 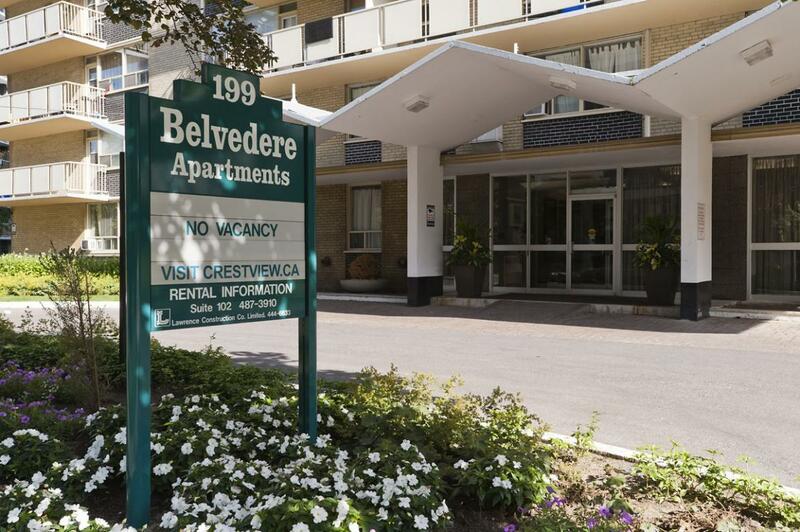 Come and visit The Belvedere and see the neighbourhood that all of Toronto is raving about.